Join The Gossip: Join the Gossip is 5 Today! 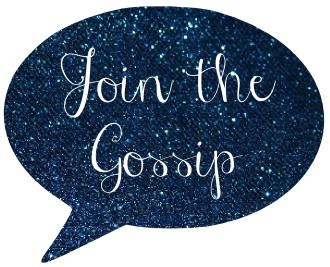 Join the Gossip is 5 Today! Today Join the Gossip turns 5! It's really hard to believe that I've been at it that long. What keeps me going is all of you - each person who reads this blog makes blogging wort it. I've met SO many incredible people who have become in real life friends. That's amazing to me. I would have never imagined how much joy this blog would bring. OK, I'm done being all mushy. To celebrate I held a giveaway and the winner is Miranda of Aimless Transition! Congrats!! And since we're celebrating, I've created an outfit for Friday's Fancies that's party perfect. Maybe for NYE? The best part about this look is that ALL of these items are from Target! Have a great weekend! Just a reminder, Weekend Update is taking a break Monday. Enjoy your New Year's Eve and join us for Weekend Update on Monday, January 7! Congrats!!!! 5 years is amazing!!! I'm also in love with this whole outfit!!! Yay! Wow, five years?! Happy Blogiversary!! WOW. The outfit is awesome! The red/burgundy heels are my favorite part..jazzes up the whole look. Oh and Target? Hell Yeah. Happy 5th Birthday to Join The Gossip!!! Happy 5th Birthday!!! Congratulations! That's so exciting! Congrats Leeann on 5 years! Thanks for stopping by my blog. 5 years!!! That's awesome!! Happy Anniversary!! Love the outfit you created!! Have a wonderful weekend!! Can I just say I love every last thing about this? That coat is super chic and the jewelry is perfect! is it bad to say that i NEED that dress, coat and shoes?!. HAPPY BIRTHDAY Join the Gossip! I'm so glad I stumbled across your blog, however, I did....I'm so glad to have "met" you! Yay for five years! That is such a huge accomplishment. :) And congrats to the giveaway winner! Congrats of 5 years!! And LOVE this look, my NYE dress was totally from Target a few years ago, and I think it's my favorite I've ever worn! I absolutely love that dress. I immediately clicked over and want to order it. You don't think it looks too bridesmaid's dress-like do you? I think that's what they have it geared for, but I really want it! Happy five year mark! Congrats! And I love that outfit - esp. the shoes! Hope your holidays are going well and that you have a great NYE - esp. in that outfit! Aww congrats, girl! Five years is quite an accomplishment!! I would be extremely proud. Happy belated blog-versary!! Thanks for sucking me into this world :) see ya for NYE...i think...call me later...maybe? Wow! Congrats on 5 years! I am at about 1 1/2 years and it has been tough at times to keep going but I am so glad I do! Love Target and love this outfit, esp that jacket!!! Hope you have a happy new year!! I have that coat from Target. I love love love it. wow 5 years! that is so awesome! thanks for the awesome giveaway and for having such an awesome blog to read! here's to many more blog-versary! Congrats on 5 years, your blog is so successful! I love this outfit, especially that trench. Happy 5th! I love that coat!!! Thanks for a great year, 2012!